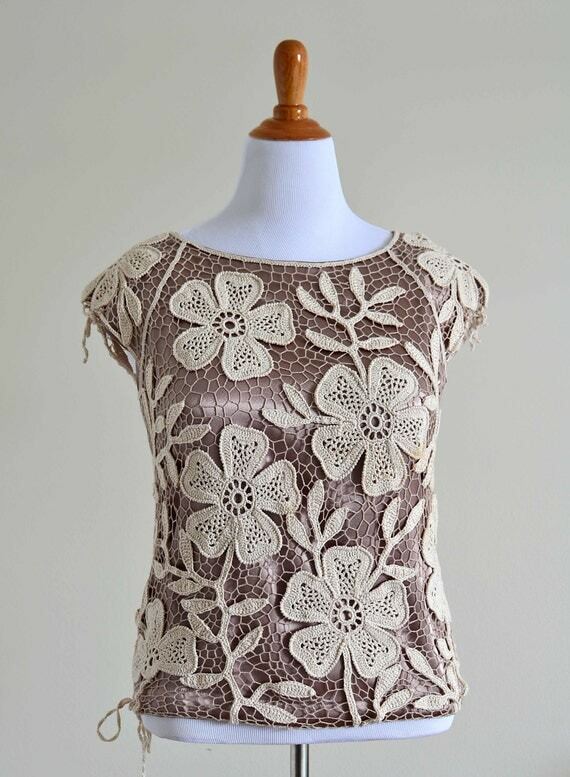 Outstanding Crochet: Irish Crochet Motifs Pattern - 5 Petals Flower and Branch - Crochet Applique Embellishment Pattern - new in the shops. 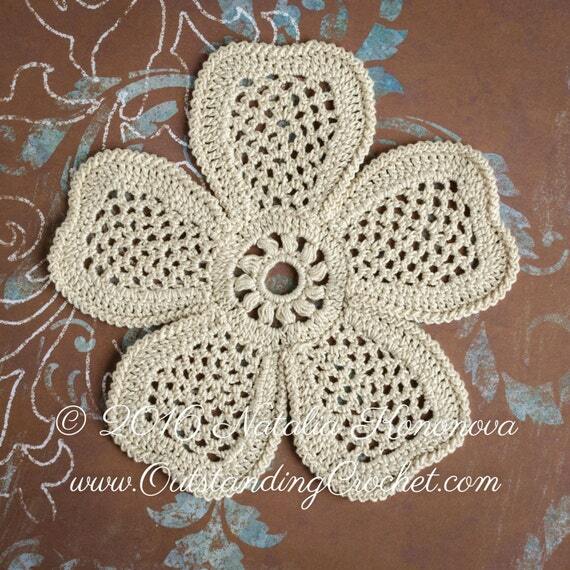 Irish Crochet Motifs Pattern - 5 Petals Flower and Branch - Crochet Applique Embellishment Pattern - new in the shops. Please, take a look at my new pattern / tutorial. As usual, done with step-by-step pictures, written instructions and charts. 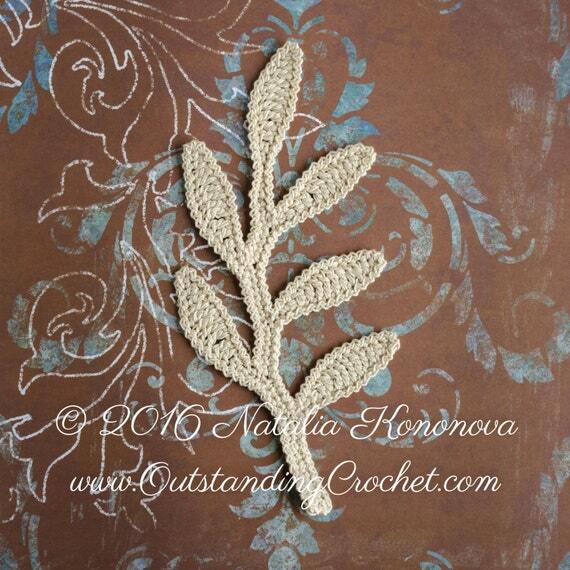 These motifs don't have to be part of proper Irish Crochet project. Used as embellishment they would make any plain shirt stand out. Framed, they'd become a lovely decoration for your house. See this pattern in my Etsy shop. Check it out in my Ravelry shop and take advantage of Ravelry library convenience with all your patterns always available for a download. 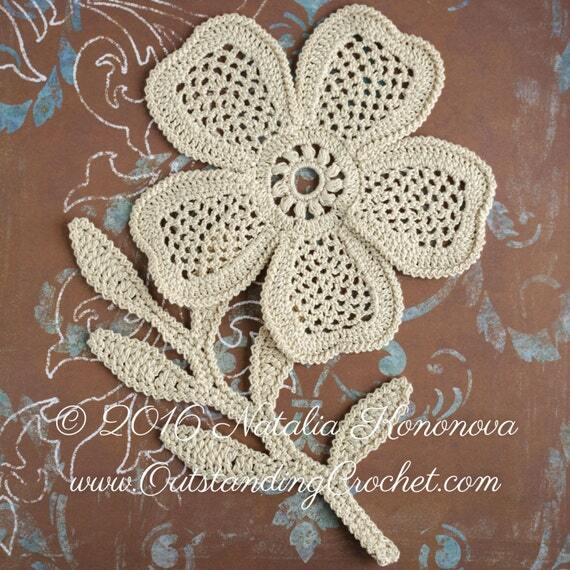 Irish Crochet Flower and Leaf Embellishment Applique Motifs. Embellish any garment with these beautiful Irish Crochet motifs or use these motifs as part of Irish Crochet project. Frame to create a lovely decoration for your house. ch (chain), sc (single crochet), sl st (slip stitch), hdc (half double crochet), dc (double crochet), tr (treble crochet), puff stitch. - 1.8 mm for flower. - 2 mm and 1.8 or smaller for the branch. 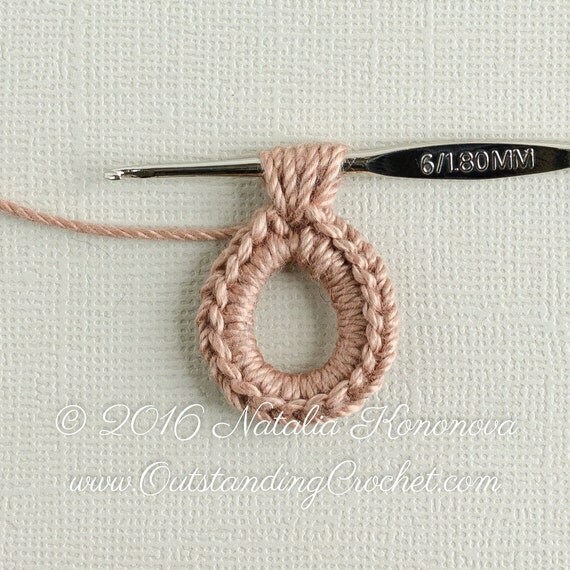 - tapestry needle to weave in ends. - branch is 7 1/2” (19 cm) high. Urocza bluzka, kwiat jest śliczny. Serdecznie pozdrawiam.